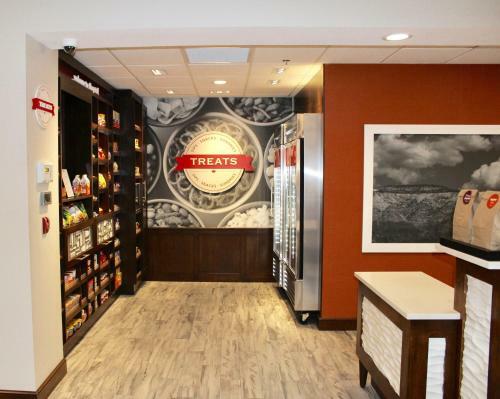 Set in Flagstaff, 5 km from The North Pole Experience, Hampton Inn Suites Flagstaff East provides a fitness centre and rooms with free WiFi access. This hotel offers a 24-hour front desk and a business centre. The property is 7 km from Northern Arizona University. All guest rooms at the hotel are equipped with a seating area and a flat-screen TV with cable channels. The private bathroom is equipped with a bath or shower and free toiletries. 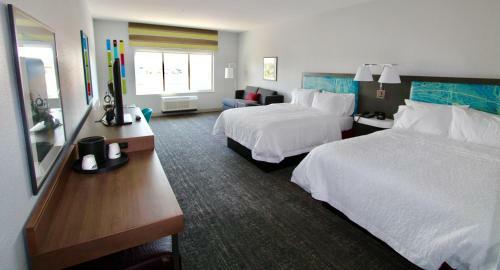 Guest rooms at Hampton Inn Suites Flagstaff East include air conditioning and a desk. Guests at the accommodation can enjoy a continental breakfast. Hampton Inn Suites Flagstaff East offers accommodation with a hot tub. A number of activities are offered in the area, such as skiing and hiking. Flagstaff Plaza Shopping Center is 6 km from the hotel. The nearest airport is Flagstaff Pulliam Airport, 12 km from the property. the hotel Hampton Inn Suites Flagstaff East so we can give you detailed rates for the rooms in the desired period.